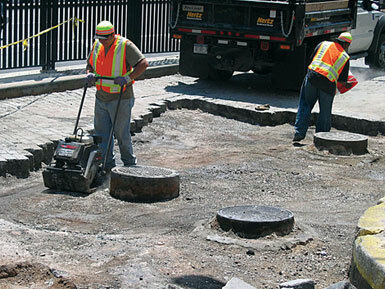 The NYC Street Works Manual describes policies governing work on city streets, and presents procedures for notice, approval and execution of such work. These policies and the Manual's presentation of permit procedures are designed to deliver higher quality street surfaces, fewer transportation capacity reductions and a more efficient construction environment to the people and businesses of New York City. There are nearly 6,000 miles of streets in New York City. City streets facilitate the movement of pedestrians, transit riders, motorists and cyclists as well as the delivery of goods and services throughout the city. Under the surface, the same streets support the city's water, sewer, power and telecommunications infrastructure, as well as its subway tunnels and building vaults. The streets themselves also serve as public spaces, fostering social, economic and recreational activities. Management of New York City's street infrastructure is critical to the city's economic well-being and quality of life. The Street Works Manual is a tool intended to increase the performance of both city government and the private sector in this regard. Its overall goals are both far-reaching and vital: sustaining the city's investment in its streets, enhancing access to subsurface infrastructure and minimizing transportation and community disruptions. To this end, the Street Works Manual is a resource for all parties that perform work in New York City streets, from utilities and contractors installing, replacing and repairing underground infrastructure to developers replacing roadways and sidewalks adjacent to building sites and homeowners performing their own sidewalk repairs. NYC DOT coordinates street opening and other construction on streets. The organization of the Street Works Manual generally follows the chronological process of planning and undertaking work in the street. Chapter 2 describes processes and tools to enhance advance planning and coordination of street work between NYC DOT's own capital resurfacing and reconstruction programs and the street infrastructure work of other stakeholders, especially those that perform a large number of street excavations. One tool highlighted in this chapter is DOTMap, a data sharing initiative that allows for better coordination of planned street reconstruction and resurfacing activities with other street excavation work. Chapter 3 describes different types of construction-related permits issued by NYC DOT and outlines the application processes for each permit type. It also provides cross-references to useful online forms and tools. Chapter 4 describes the processes for executing work in the streets, after permits and approvals are obtained, and the enforcement actions NYC DOT may take to safeguard city streets. In Chapters 3 and 4, the symbol is used to indicate particularly time-sensitive requirements of the processes described. Appendices to the Street Works Manual provide additional resources, including a list of common permit types and the supporting documentation required for each permit type, reference copies of applications and required forms, contact information for NYC DOT and other agencies and utilities, a list of the stipulations placed on permits under certain conditions and/or at certain locations, and useful internet links by chapter of the Manual. The Glossary and definitions found in this Manual provide a brief explanation of NYC DOT terminology. Any definitions found in existing federal, state or city laws, rules and regulations take precedence as the official and legal definitions. 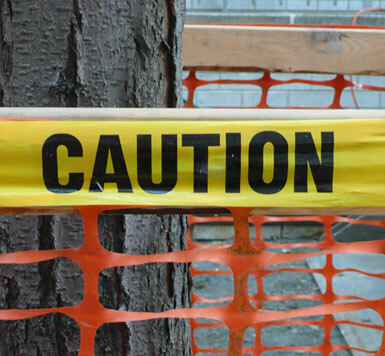 NYC DOT disclaims any liability for omissions or errors that may be contained herein.